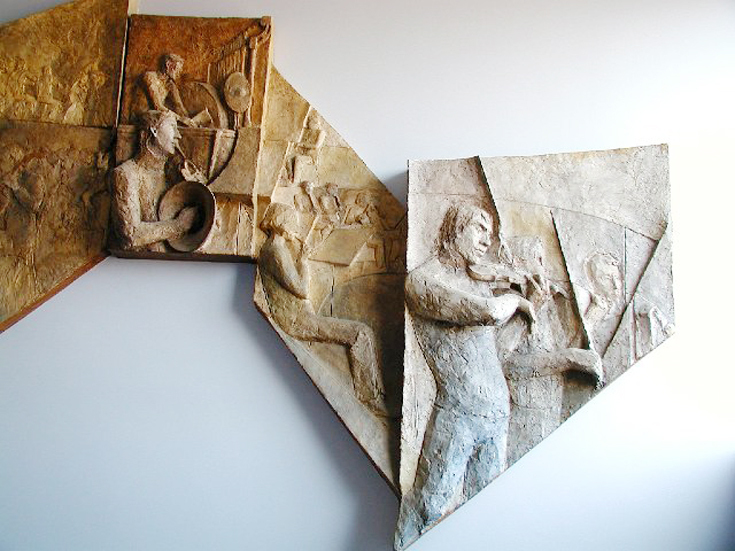 Diane made this 4.5m long plaster relief (and cellist sculpture) after many hours drawing the orchestra, whilst a student on the Envrionmental Design Course at Bournemouth and Poole College of Art. The photo of it below was taken at the college degree show. 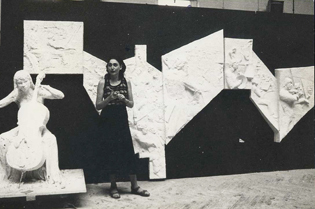 Move mouse to see both images on the right, showing the painted and sited relief sculpture.